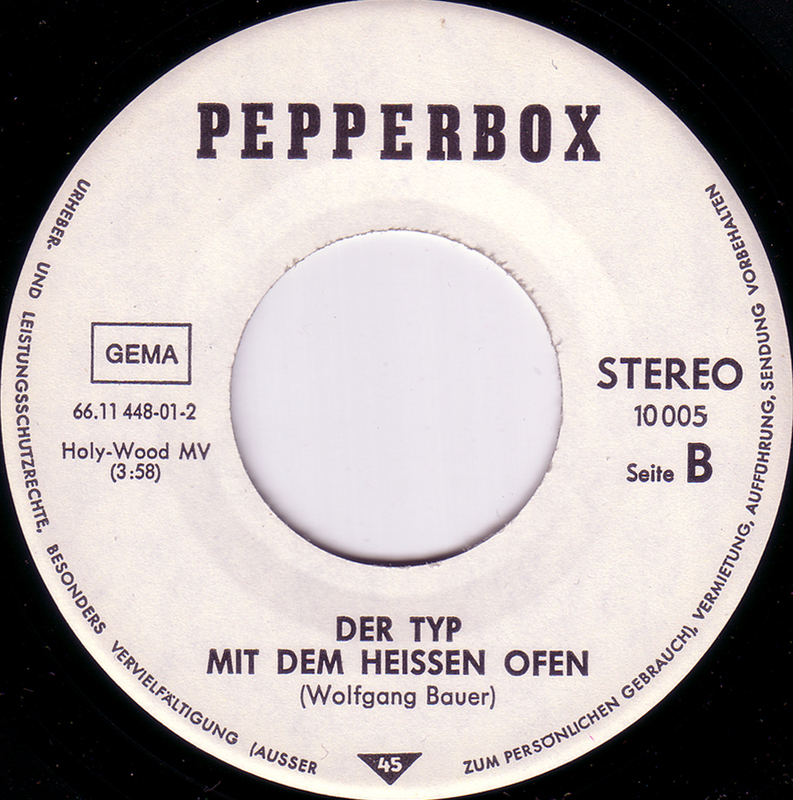 Another private pressing from a band that probably only played locally in the Schwaebisch-Hall area in the South of Germany. I really like this song. 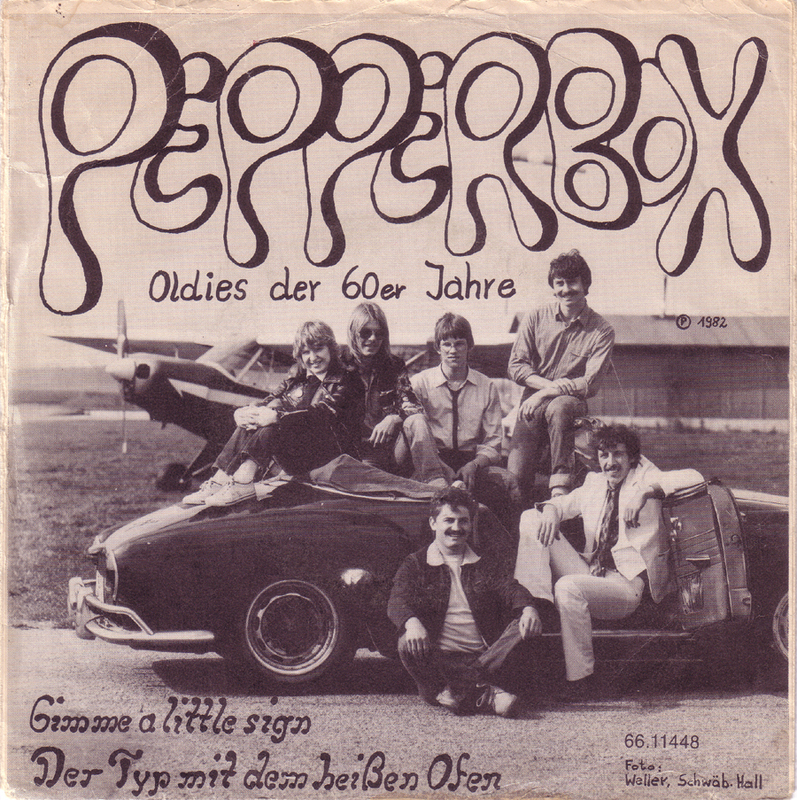 The sleeve describes this as “Oldies from the 60`s” but “Der Typ mit dem heißen Ofen” (The guy with the bitchin`motorcycle) is more like Status Quo meets the Shangri-La`s. There`s the sound of a motorcycle at the beginning and the whole song revolves around the troubles of a girl with her mother who wants to see her guy first. Charming female vocals and a great guitar solo! This should have been a hit.